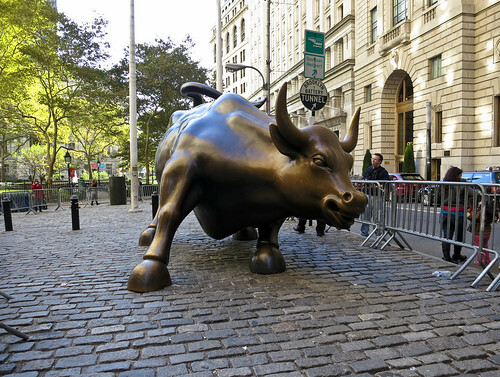 Tourists pose with (and fondle) the iconic, anatomically correct Charging Bull sculpture near Wall Street in Manhattan in this humorous short video by art director Tommy Kane. Visitor’s rub the bull’s nose, horns, and testicles so often that those areas have a polished appearance. The sculpture has a most unexpected origin story—Italian artist Arturo Di Modica created the bull back in 1989 using $360,000 of his own money. He then installed it in front of the New York Stock Exchange without permission. Police impounded it but public outcry forced the city to reinstall nearby in Bowling Green park. Technically, the sculpture has a temporary display permit as it is still owned by the artist.